Rick Bunzel is a Reserve Study Specialist and License Home Inspector with 36 years of business experience. 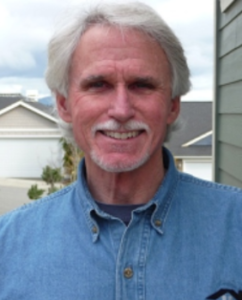 He founded Mountain View Property Inspections in Boulder, CO in 2002, founded Pacific Crest Inspections in Anacortes,WA in 2005 and Pacific Crest Reserves in 2008. He has his BA degree in business, is a Washington Licensed Home Inspector, an ASHI Certified Inspector, Certified Real Estate Inspector with the National Association of Home Inspectors (NAHI), a FHA HUD Inspector and member of the North Puget Sound Realtors Association (NPSAR.) To maintain his certifications he takes approximately 60 hours of continuing education per year. Rick has inspected hundreds of associations over the years in business. The associations range from 10 units condos to Home Owner Associations with over 1,700 properties. Experience gives us the ability to evaluate complex properties, determine their condition, life expectancy and cost of replacement. Rick Bunzel has the unique combination of talents that makes him an excellent guest speaker. He is a professional home inspector and reserve specialist, who regularly lecturers on Reserve Studies, Mold, Meth Labs, Air Quality and number of other topics. Rick also provides litigation support and expert witness services for clients involved with real estate disputes. Charlie is a Reserve Specialist and Licensed Home Inspector with over 32 years of professional building experience. 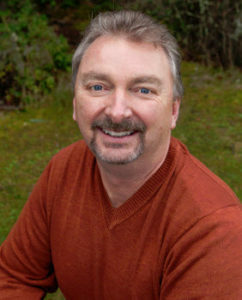 He has served as general manager of one of the major home builders in the Skagit county area and went on to become managing member and general partner of Island Development Company in Anacortes, WA. Charlie’s education background includes a BA in Aeronautical Science and applied engineering, earning advanced flight certifications for commercial, instrument, multi engine and flight instructor. Charlie has also spent several years in marine related activities including marina design, construction and management. He took three years off and sailed throughout the South Pacific and New Zealand waters, 1989 – 1992. 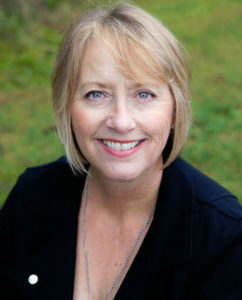 Buni is a managing partner who runs the company behind the scenes and wears many hats; she has over 25 years of marketing and customer service experience. She has several years of board level experience running a large Home Owners Association. She has a BA degree in Liberal Arts with a Math minor. Pacific Crest Reserves mission is to provide the highest level of value and quality of service in our industry. As highly trained and courteous professionals we will act as advocates for our clients, presenting unbiased information in an easy to understand, user friendly format. Our role is to educate our clients and be a resource for them both during and after the reserve study. Our services are available at reasonable cost. We promise courtesy and respect for associations and management companies who will benefit from our comprehensive, qualitative reserve studies and assessments that deliver thorough and accurate information in a timely fashion.